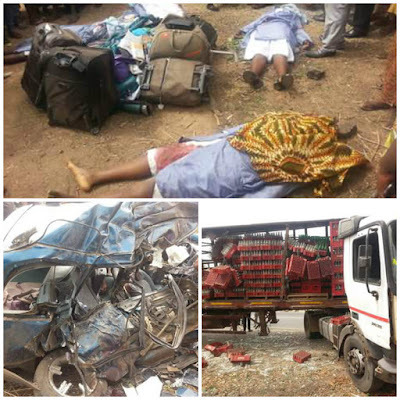 Four reverend sisters pictured above died in a fatal motor accident after their car collided with a truck of a bottling company along the Ikom-Okoja road. A facebook user who witnessed the gory accident shared the photos online. So sad. May their souls rest in peace. Following the birth RudeBoy records and signing of Muno to the label, Paul Okoye of Psquare has revealed why the brothers are doing business individually. In an exclusive interview with Naij.com on Monday, February 8 at their Omole residence, Paul maintained that Psqaure remains intact but it was time for each of them to try out things independently without hurting the Psquare family. After coincidentally walking into Ty Bello’s Photo-shoot, once a bread seller and mother of two, Olajumoke Orisaguna, has not just made the front cover of ThisDay’s Style but has also earned an endorsement deal with popular online market site, Payporte with an internship with a Lebanese owned salon on the Island. 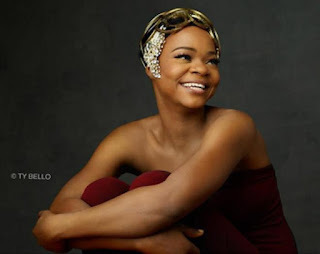 The story Olajumoke, broke the internet some weeks back when she accidentally worked into a photo-shoot of Ty Bello and her beauty which added another flavor to the shoot, paved way for her being sought after and today, then uneducated lady from Osun state, is now a celebrated woman of steel who has been getting a standing ovation. Aisha Atan and Kafayat Adegoke. A Nigerian student, 30-year-old Kafayat Adegoke, has been exposed by UK papers for tricking a man into getting her pregnant, all just to avoid the high cost of an IVF procedure. The Sun UK reports that Adegoke began hunting for her men months before, dating three and quizzing each one about his family background and medical history, until she settled for one who she went on to date for two months. This is the extraordinary CCTV footage from Mogadishu airport, Somalia of the suspected bomber of a Somali plane travelling to Djibouti at the exact moment when he is being handed a laptop in which the explosives were concealed. 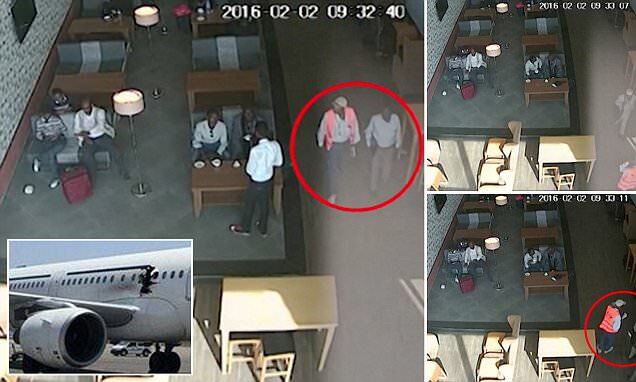 The video, released by Somali intelligence officials, shows a passenger being given a laptop by two other men, one of whom is wearing a security jacket (left), after he passed through security (right). The National Intelligence and Security Agency (NISA) believes the passenger is the suicide bomber who was blown from the Daallo Airlines jet creating a gaping hole in the fuselage (inset) and forcing the plane to make an emergency landing back at the Mogadishu airport. It was a bloody Sunday yesterday on the Lagos- Ibadan Expressway where at least 17 people lost their lives in an auto accident. About 79 others were said to have sustained various degrees of injury in the accident involving an articulated vehicle and a Peugeot J5 bus at Sepo area on the ever-busy highway, which in the last couple of years has become a death-trap. The Oyo State Sector Commander of the Federal Road Safety Commission (FRSC), Yusuf Salami, both vehicles were travelling to Lagos. 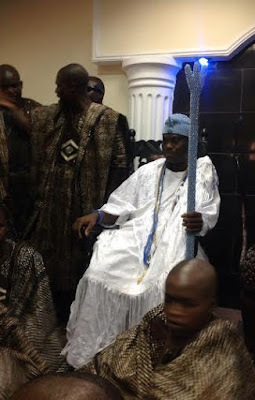 The Alake and Paramount Ruler of Egbaland, Oba Adedotun Gbadebo, yesterday declared that the Ooni of Ife remains the highest ranking monarch in Yorubaland. He also identified ego as the root cause of disunity among traditional rulers and people in the South West of the country. A lawmaker has asked the Senate President, Bukola Saraki, to resign while he faces his corruption trial at the Code of Conduct Tribunal, CCT. Kabiru Marafa, a leader of the Unity Forum, a caucus of All Progressives Congress, APC, senators opposed to the emergence of Mr. Saraki as the Senate President, stated this on Saturday night in a telephone interview with PREMIUM TIMES. The caucus, which Mr. Marafa has emerged as its most outspoken member, also includes Suleiman Hunkunyi and Ahmed Lawan ,who was favoured by the party to become the Senate President. After his visit to Ifaki Ekiti today, Governor Ayo Fayose was going to his Afao Ekiti hometown and met this naming ceremony at Iworoko. He surprised all as he joined them for the event. Today February 7th, Fuji music maestro, King Wasiu Ayinde Marshal popularly known as Kwam 1, threw a lavish birthday party for three of his daughters ,Anjola, Sawat, Myzarat . The birthday party which was attended by stars like Lil Kesh and Patoranking took place at Tickle Bay, Lekki, Lagos. 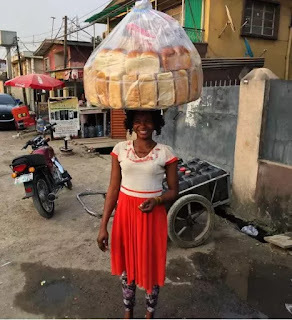 Recently Olajumoke Orisaguna, an Agege bread hawker was busy walking and minding her own business when she was accidentally caught in TY Bello’s camera shoot. Realizing the potentials in the Agege bread seller, TY Bello went off in search of her. That search has resulted in fame for the seller as TY Bello has successfully turned her into a model, and she is growing in leaps and bounds. The Ooni of Ife, Oba Adeyeye Ogunwusi, arrived in the palace of Alake and paramount ruler of Egbaland, Oba Adedotun Gbadebo at exactly 3.37pm on Sunday, with a retinue of monarchs from Osun State and chiefs. 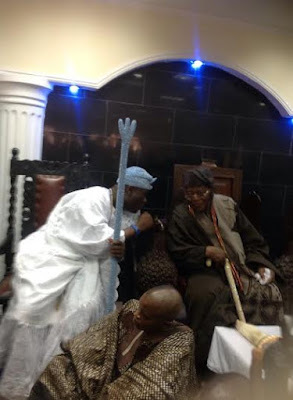 He was received by the Egba monarch, including chiefs and other prominent sons and daughters of the state. The Secretary to the State Government, Ogun State, Taiwo Adeoluwa, represented the state government.